Hi I’m Jim the founder of this site. I believe training doesn't have to be overly complicated as some in the fitness industry would like you to believe. 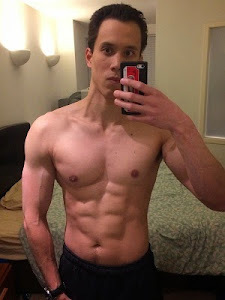 I’d go so far as to say that a simple, minimalist, balanced approach to training and nutrition will give you far better results than the typical extreme, complicated fitness approach encouraged by fitness magazines. JimTraining is all about informing and giving you the steps needed to reach your physique and performance goals. It is also about developing and getting stronger as a person. Whatever your physical training goals or experience level you will find the content in this site invaluable to reach your goals. The information from this site comes from both scientific, evidence based research and practical steps I learned from in the trenches experience. I’m a Personal Trainer/Coach and Nutritional Consultant. As mentioned above I believe a simple, minimalist, balanced approach to training and nutrition is the way to go. Life is too short and it doesn't have to be overly complicated. Hence I train primarily with calisthenics (or body weight exercises) to achieve high performance but will of course adapt my methods to suit the needs of the client. And I normally train with minimal equipment in parks and at home. Calisthenics doesn't just involve push ups, pull ups, and sit ups. There is such a large variation ranging from running all the way to advanced moves like the one arm chin up and advanced gymnastic movements. You can make dramatic changes to your physique and build amazing levels of strength and fitness through using only your bodyweight for resistance. My approach to training isn't complicated, but it doesn't have to be, as a matter of fact a simple approach is often better. You will find my approach to be effective, structured and progressive which in the long run will lead to better results. As a personal trainer/coach I believe each person is a unique individual with different goals and needs. And each person deserves to be treated as such. What works for one person may not work for others. There are no exercises or group of exercises that will work for all. And my approach to training reflects this. With me you will get truly personalised training that is goal oriented. 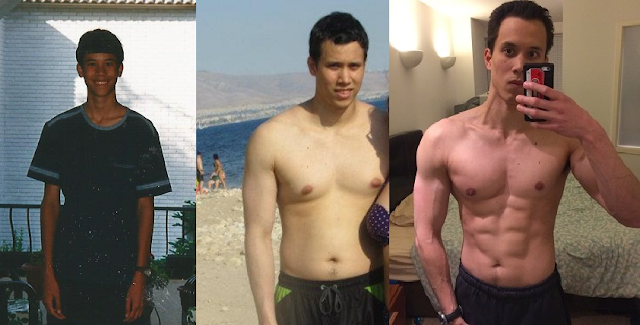 My transformation: From skinny and weak, to out of shape, to back in shape. With correct training you too can achieve similar results.